No smudging. No creasing. No caking. No looking back. An insider trick of the trade. Never heavy-handed, this lightweight primer creates a seamless canvas that keeps cream and powder color looking brilliant, fresh, and just-applied all day. Smudge proof eyeshadow base uses a unique polymer and mineral powder blend to get a firm grip on color for hours and hours of gorgeous wear. Fortified with a special deep-sea extract and an antioxidant rice extract, smudge proof eyeshadow base dries on contact and keeps the delicate eyelid smooth and prepared for eyeshadow application. 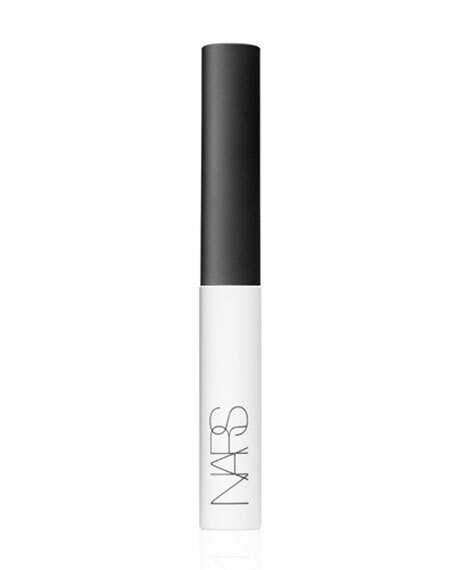 Smudge proof eyeshadow base is also a great multitasker: use it as a primer for eyebrow pencils and lower lash-liners. Consider it an everyday essential. Ophthalmologist tested. Dermatologist tested. Fragrance free. How to use: How to use: Gently sweep a thin layer onto eyelids, blending with fingertips. Dries in secondsfollow with your favorite NARS eyeshadow.